Charity legislation requires all charities to generate robust management information. Due to this, charities will benefit from systems that allow for easy, and SORP compliant, reporting of key data to the charity regulator, their funders, supporters, relevant statutory bodies and other stakeholders. Independent research was conducted by ENCLUDE into a range of accountancy packages and it was discovered that the best product was designed by an Irish company. We contacted Visor, the company that developed accountsIQ and worked with them to develop a version that was appropriate to the charity sector and available for approximately a third of the price of standard versions. ENCLUDE believes that presenting your auditor with SORP ready accounts, such as those that accountsIQ delivers should significantly reduce your audit costs. ENCLUDE is partnered with Visor Ltd to offer a charity-specific accountsIQ that offers rich functionality at a competitive cost. This package is tailored for charities with functionality for ad-hoc reporting. This is a fully hosted and managed Software-as-a-Service (SaaS) solution with many advantages over traditional accounting software. There is no need to worry about system crashes, system backups or expensive servers. 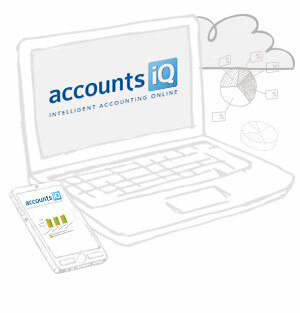 Accounts IQ is a full-feature accounting package, with unparalleled business analysis and reporting functions including an individual tailoring of the system for different users. For more information on accountsIQ for registered charities email: sylvester.murphy@enclude.ie or click here.